Prosecutors said on Friday that Paul Manafort, President Trump’s onetime campaign manager, would cooperate with Special Counsel Robert Mueller’s investigation into Russian electoral interference. Given Manafort’s close involvement with Russia and the Trump campaign, the news could constitute a major blow to President Trump as he tries to contain the damage from Mueller’s probe. However, Manafort’s web of connections in the murky world of lobbying and foreign influence means that the information prosecutors extract from him may not necessarily involve the president directly. Manafort’s cooperation, announced in court on Friday, came just ahead of a Washington, D.C., trial in which he faced counts of money laundering, obstruction of justice, and tax fraud, among other charges. Earlier, the special counsel’s office had indicated in a filing that Manafort had reached a plea deal with Robert Mueller in which he would plead guilty to two criminal counts — one count of conspiracy and one count of conspiracy to obstruct justice — allowing him to avoid the trial. The remaining five charges against him will be dropped. Manafort will forfeit many of his assets as part of the deal, including money in several bank accounts, an apartment in Trump Tower, and one in downtown Manhattan; worth about $46 million, these assets single-handedly cover the cost of the Mueller investigation. The judge in the case said that Manafort’s cooperation is wide-ranging, and could include testifying in other trials. Manafort’s lawyer said that with the plea deal, his client “wanted to make sure that his family was able to remain safe and live a good life” — though his families’ safety may have been a factor in his refusal, up until now, to talk. For months, Manafort had refused to turn on his former boss, unlike other Trump administration figures. His silence had earned him plaudits from the president, and there has been speculation that he was waiting on a pardon from Trump at some later date. 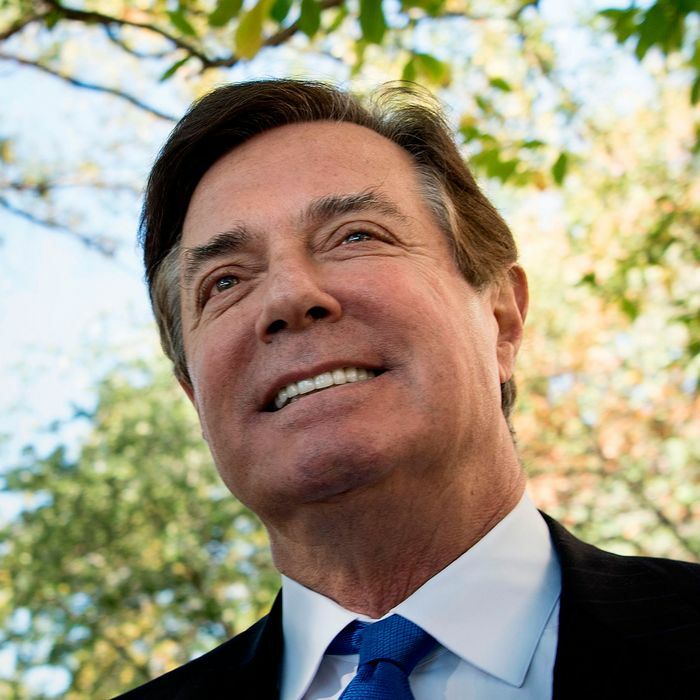 Last month, in a separate trial, Manafort was convicted by a Virginia jury of eight counts of financial crimes, none of which were directly related to the Russia investigation.